This polished altar stone of Fluorite has absolutely amazing energy. 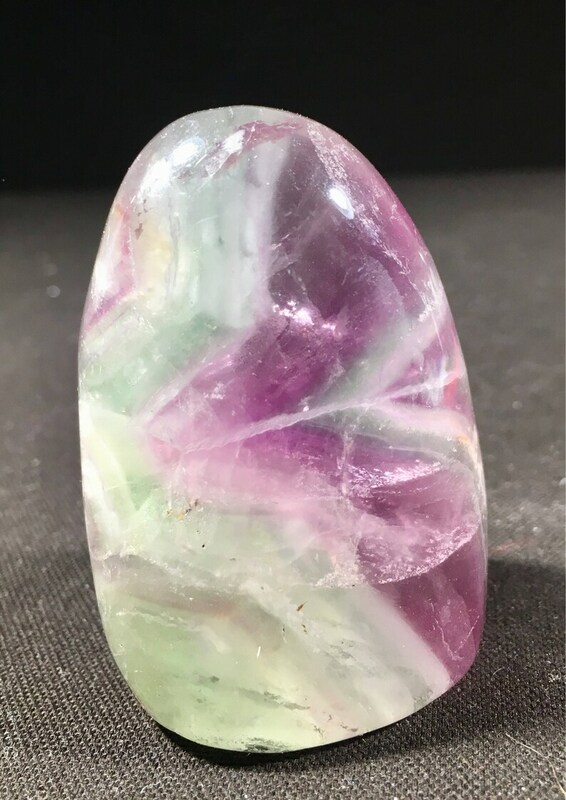 This crystal has beautiful greens and purples typical of fluorite. The energy coming off this stone is very high and pure. This piece is approximately 2.5 inches by 1,5 inches and absolutely stunning. This specimen would be great in a desk, altar or bookshelf.